The Canvas Network’s Gender Through Comics course is in full swing and going into it’s second week. With over 7,000 students, Adjunct Professor Christina Blanch has her hands full. Of course, there aren’t grades on the line for this experimental course, but there are plenty of people posting on the messages boards… constantly. Perhaps that is where the line is being drawn. The online class is designed for people to get involved in as little or as much as they want. 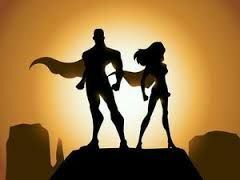 With weekly readings of comics, topical articles, optional videos, discussion board topics and live interviews where you tweet or post questions to the stars, there are lots of ways to get involved or perhaps get overwhelmed. The sheer size of the class seems to be keeping some from participating the way they wish. Traditionally, when taking a class, especially with people you know, you seek them out to have debates and discussions with your peers. Many were excited when the course was first announced and began forming “study groups” through social networks. However, the wide and broad range of the discussion boards has made it difficult to find individual responses. Plus, with everyone looking to get their opinion on the board knowing where to focus a discussion is more complicated. At some point individual determination has to take over, and those who have signed up for the class need to decide how much time it’s worth to get fully involved in this course. After only one week, it’s hard to tell how larger assignments will play out. However, there are plenty of positives. Some great comics are being focused on in the course, that perhaps many of those enrolled do not normally read. Second, Terry Moore‘s live interview was very enlightening on his work, process and point of view. For students who work during the day and are unable to watch them live, they are available to watch later, which reassured many students. Finally, the extra (non-comic) readings provided help to expand definitions and push dialogues both on social media and discussion boards. This week the class with focus on Gender and Culture, featuring a live interview with Mark Waid on Thursday. 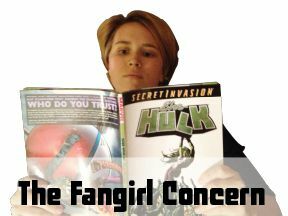 Read Jessica’s ongoing column, The Fangirl Concern, almost weekly right here at StashMyComics.com! You can find previous entries in this series by following this link.